The European Soil Bureau Network (ESBN), located at the Joint Research Centre (JRC) of the European Commission, Ispra(I), was created in 1996 as a network of national soil science institutions. The ESBN at the JRC is operated by staff members of the Land Management Unit (LMU). 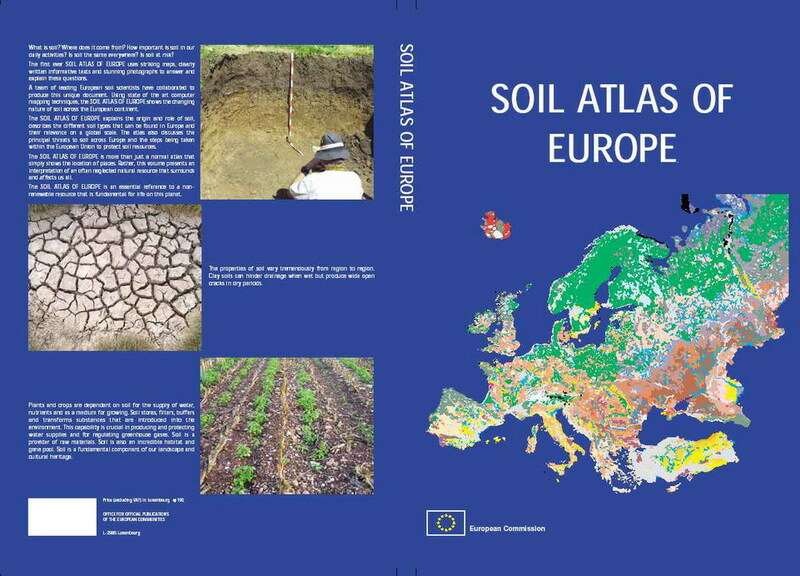 Its main tasks are to collect, harmonise, organise and distribute soil information for Europe. This section describes the history, background and current work programme of the network. The European Soil Bureau is a Network of "Centres of Excellence". In general terms, therefore, the role the ESBN Project at the JRC is twofold - to perform a co-ordination activity by hosting the Secretariat of the ESBN and to provide a central source for information relevant to the work of the European Commission. The ESBN is experiencing a surge in the demand for soil information in Europe, for addressing a number of environmental problems and questions. These include: leaching of agrochemicals, deposition of heavy metals, disposal of waste (agricultural, domestic and industrial), degradation of soil structure (through loss of organic matter, salinisation and subsoil compaction), risk of erosion (by water and wind), immobilisation of radionuclides, supply of water at catchment level, assessing the suitability (and sustainability) for traditional and alternative crops, and estimation of soil stability. Archival function of soils containing records of natural and human history. The Common Agricultural Policy (DG AGRICULTURE) particularly for the implementation of existing regulations (2078/92, 2080/92) and the forthcoming Agri-Environmental Policy, to be further strengthened through the CAP reform under Agenda 2000. The European Soil Bureau operates through a network of European centers of excellence in Soil Science. The scientific quality of the work is guaranteed by a Steering Committee formed of outstanding European soil scientists. The constant link with policy makers is ensured by and Advisory Committee with delegates from the Member States and the relevant customer DGs. Actual operational activities are performed through ad-hoc working groups co-ordinated by the scientific committee. The results of these converge into the European Soil Information System (EUSIS), designed to be the main source of georeferenced information on European Soils. EUSIS allows the collection of harmonised soil data and integrates appropriate interpretation models. The outputs of the system can be both in cartographic and/or tabular formats. It is a multi-scale system giving answers to problems to be solved at different scales. These range from global assessments (1:5,000,000 scale) to spatial planning and precision farming (1:5,000 scale). The average scale is 1:1,000,000, appropriate to respond to EU soil policy issues. EUSIS is accessible to the concerned commission services, and by interested third parties. It includes the relevant indicators in support of the development of a coherent soil protection policy within Europe. groundwater vulnerability to agrochemicals etc.